Hiatus for a new niece! My brother and his wife are having their first baby today, so I’m on the road. I’d appreciate any good vibes for safe travel on that yucky 8+ hour drive down to lower Oklahoma and a happy, healthy mama and baby! I’ll check in again when I can! Today’s Tuesdays on the Run topic is 2015 race medals, which made me realize that I got some fun race medals this year! Thanks as always to Patty, Marcia and Erika for hosting the link up. 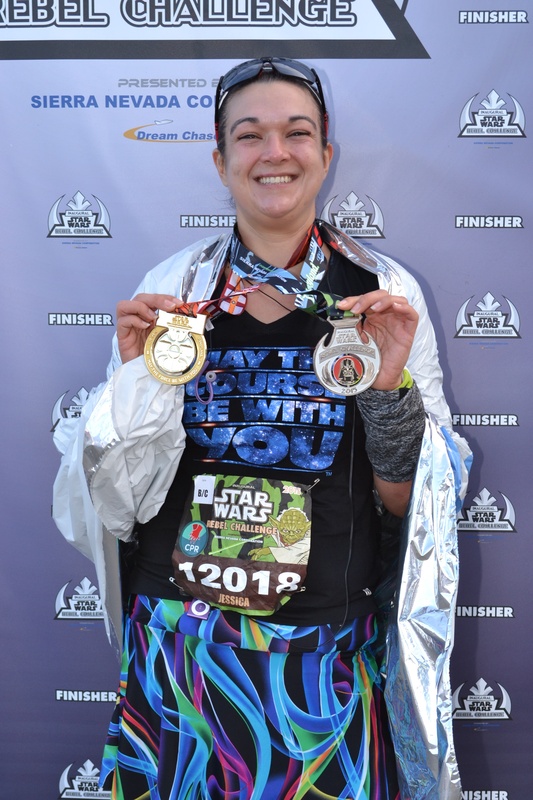 Not only were these the usual hefty and gorgeous RunDisney medals, but they represented the completion of my first back to back race challenge! 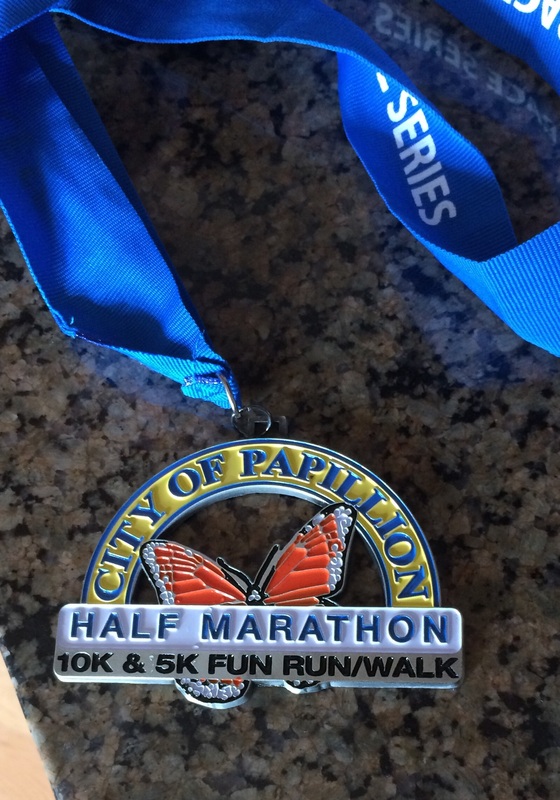 Another favorite medal this year was from the Papillion Half Marathon. I just loved the beautiful butterfly! Isn’t it a cute medal? Definitely one of my favorites! 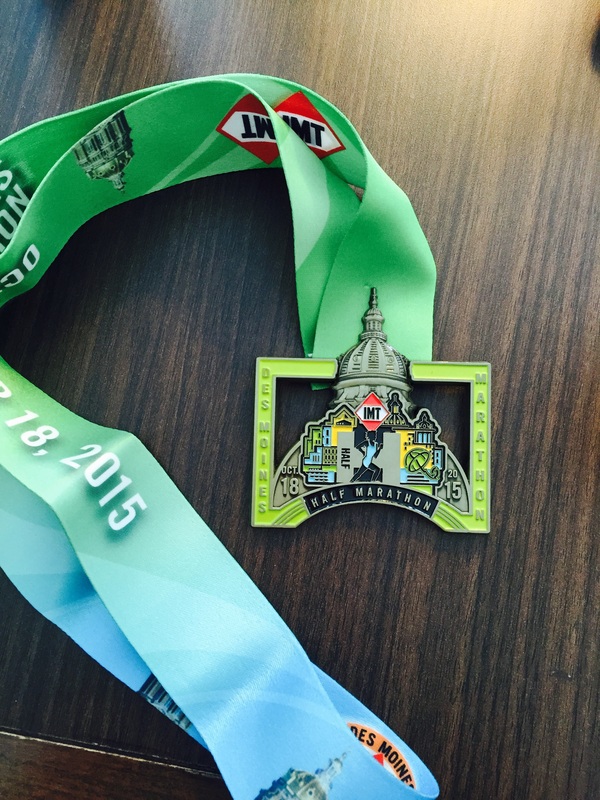 Of course, I have happy thoughts about this year’s Des Moines Half Marathon medal, not because it is such a gorgeous medal (although it isn’t bad!) but because it represents a strong race experience. Last, but certainly not least, has to be my Wine & Dine and Coast to Coast challenge medals. 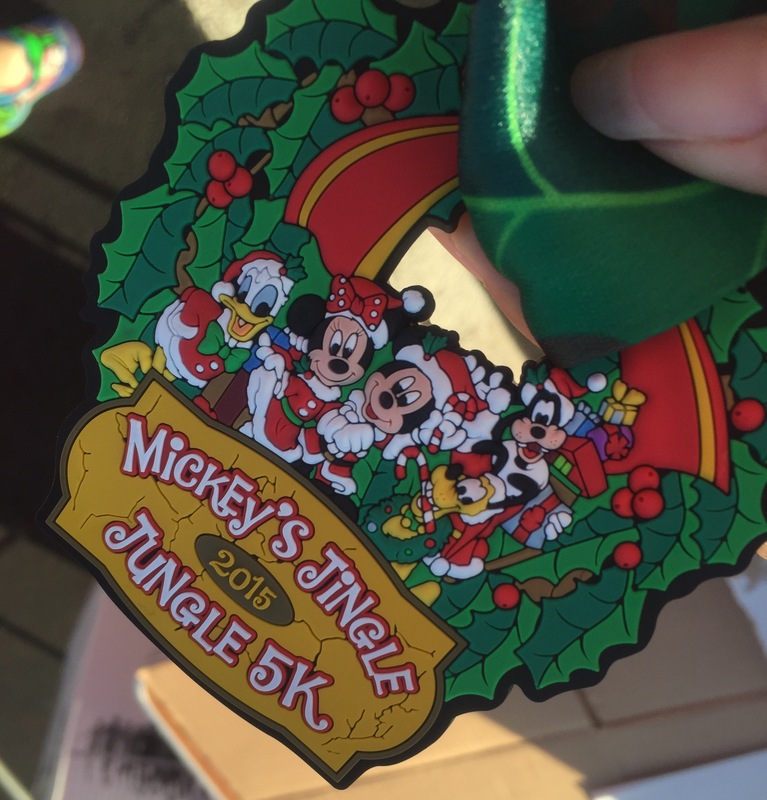 The Wine & Dine medal is pretty and certainly represents a memorable experience, with the half-half-marathon and the Coast to Coast represents a year in which I was fortunate enough to run Disney races on both coasts. I won’t be doing that again anytime soon, so I’m really grateful for the opportunity this year! What’s your favorite race bling this year? I’m listening to thee new Adele CD, watching the snowfall and trying to use my crystal ball to determine when the roads are going to get truly bad so I can get my staff out of here in time. Gotta love Nebraska winter weather. 🙂 Snow shoveling will definitely be today’s workout! 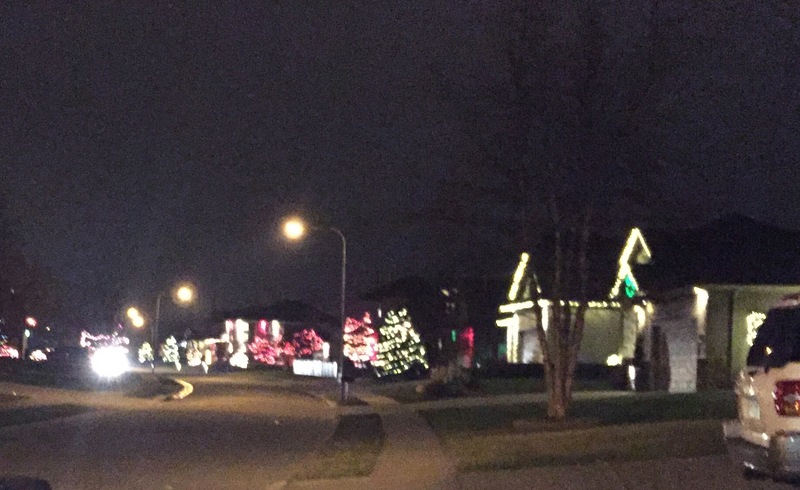 My favorite workouts this holiday week were the walks I took with Oliver every evening to look at Christmas lights early in the week before the snow & cold got too bad. It was lovely to have that time to chat with him and take in the lights. I miss them so much when they’re gone! 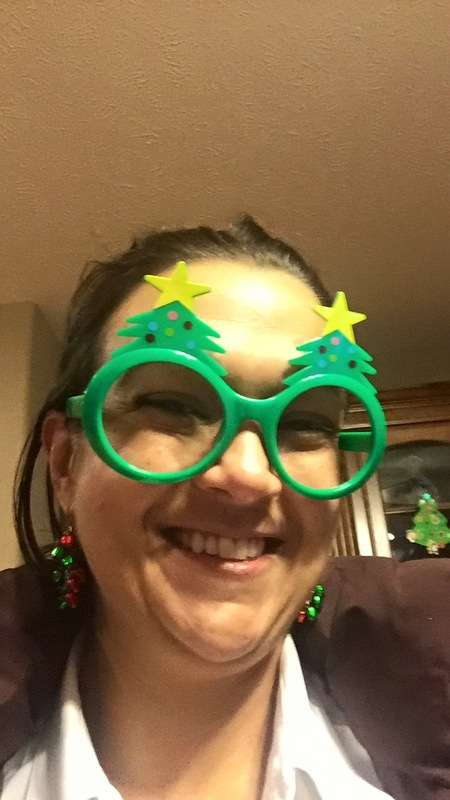 On Wednesday, I realized that I was only 56 minutes away from getting to 36 hours of activity in the holiday season in my Lovely Ladies Losing It holiday challenge, which was just the motivation I needed to keep moving through the holidays. 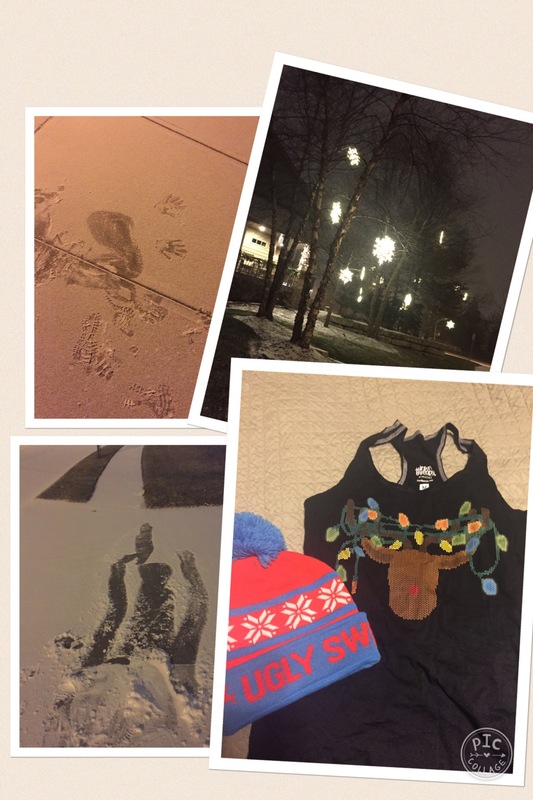 Ugly Sweater 5K – lots of slipping and sliding! I got a TRX-like suspension system for Christmas, so of course I had to try it out Friday! It was a lot of fun and making strength training fun is something I desperately need. I did a little run through of the various exercises and felt it for two days in my upper body! I definitely need to stick with these! I got new shoes for Christmas, so I couldn’t resist the urge to get out to run again over the weekend even though it was SUPER cold (in the teens with single digit “feels like” temps). I forgot how heavy that kind of cold makes my legs feel, but it was good to try out the new shoes even if it was a short & slow run. I looked at the calendar and realized that I need to start training for my spring half marathon in just a couple of weeks, so I’d better get these legs running again. My first week back on WW went well, which is particularly impressive since it included Christmas. 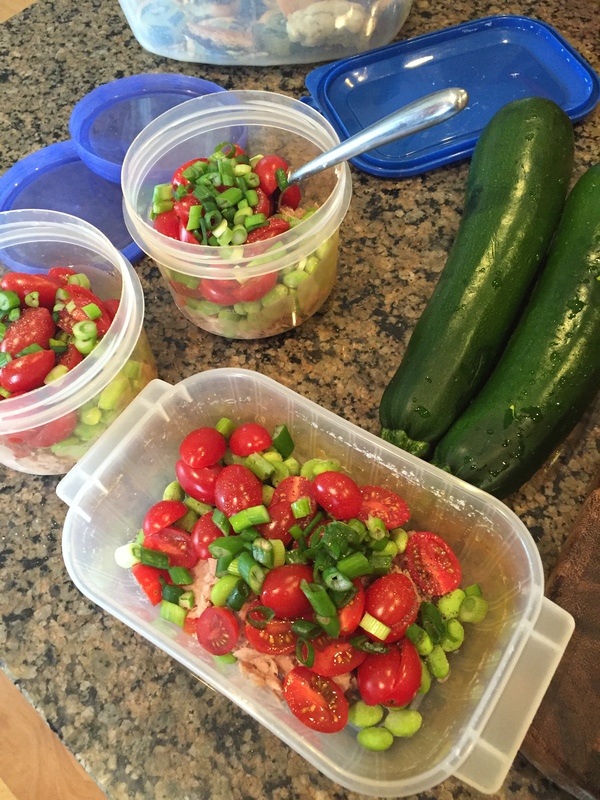 I notice that I’m eating a TON more veggies, which is good, and making better choices has felt fairly easy overall. There’s something about the “on plan” switch in my head that makes it easy to say no to cookies and candy for the most part. My office will be thrilled to see the candy drawer refilled with all of the goodies my mom put in my stocking that I’ll be sharing. That 188 was in the midst of cookie-apocalypse, so likely a little inflated. I treated myself to the new Star Wars movie on Saturday, which was fun. That time to myself was a lovely Christmas gift. My good deed this week was making Darrell take the snow blower over to deal with the neighbors’ driveway on Thursday after we did ours – does that delegated good deed count? 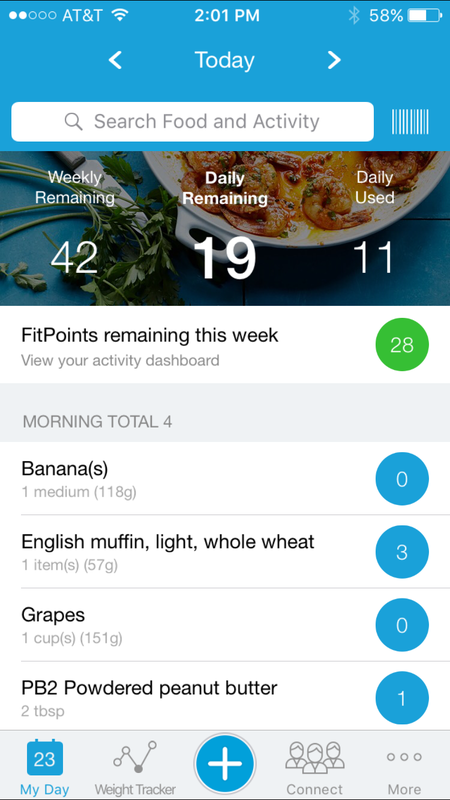 🙂 My NSV is the fact that I’ve noticed I’m pausing now any time I go to get a snack to check “Am I actually hungry?” The answer isn’t always yes and I can redirect myself. I’m grateful that we got to spend the holiday together, safe and smiling. I hope you did too! I don’t actually have huge plans this week (other than lots of shoveling). We tend not to celebrate New Year’s much other than traditional Southern New Year’s foods and lots of introspection and goal setting on my part. O and I always draw a new picture for our walls on New Year’s Eve/Day too. Other than that, we’re not big partiers and I’ll actually probably sleep through the ball drop! How do you celebrate the New Year? 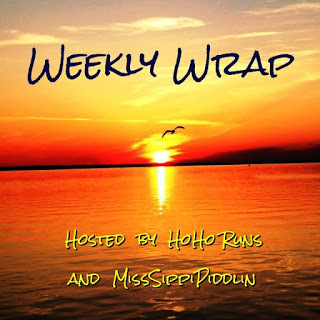 Thanks as always to Holly and Tricia for hosting our Weekly Wrap Up! We’re celebrating Christmas today with laughs and love and lots of hugs. 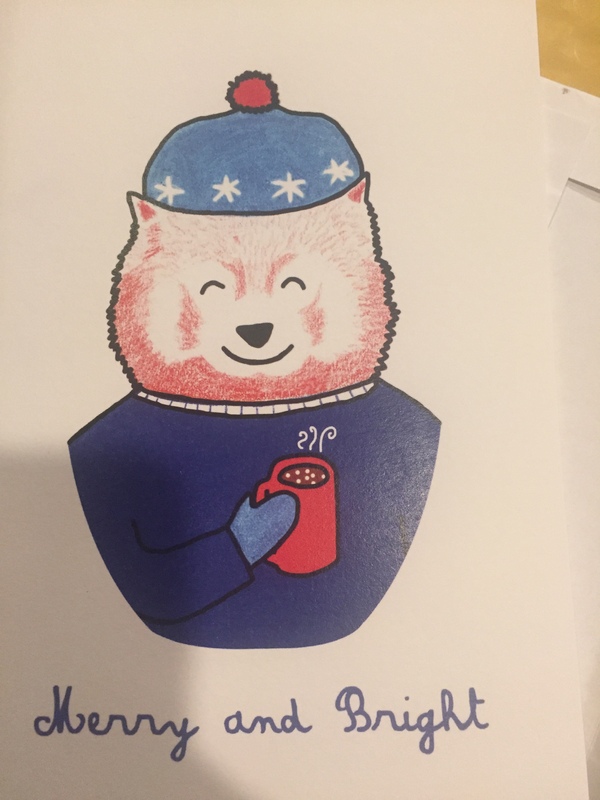 I wish the same for you, however you’re celebrating this holiday season! Today, I’m home with Oliver, immersed in Christmas Eve celebrations. Last night, we camped under the tree and today, we’re baking cookies for Santa and making treats for our Christmas Eve movie-thon. Whatever you’re up to today, I hope you’re having fun! I can’t quite believe we’re already at the end of 2015. It feels like it has passed in the blink of an eye and yet I know SO much has happened this year. I always like this chance to look back at my running year, especially when I get to this “meh” time of year with no races on the horizon. Reminding myself of all I’ve done this year is a huge motivator to get in gear again! 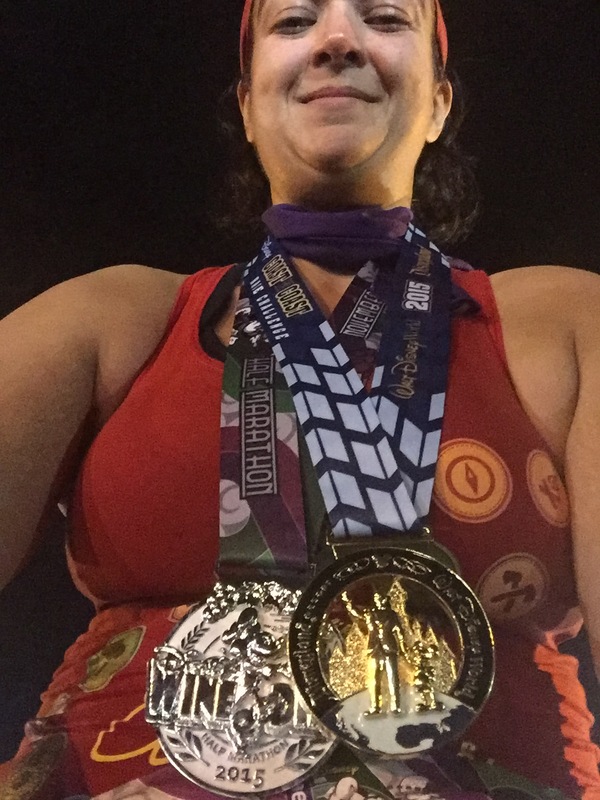 I like the “Year of Running” format from last year (and originally from Miss Zippy in 2014, here) so we’ll use that again this year, plus an update on my goals for 2015, which went fairly well! Favorite Run This has got to be Italy. From the gorgeous scenery, to the realization that running is so much a part of my “thing” now that I was antsy without my running shoes (to the point of running in flats because I couldn’t resist! ), this was just a great time all around. I need to add an honorable mention category of countries I’ve run in to my 50 states page (up to 24 states now!). 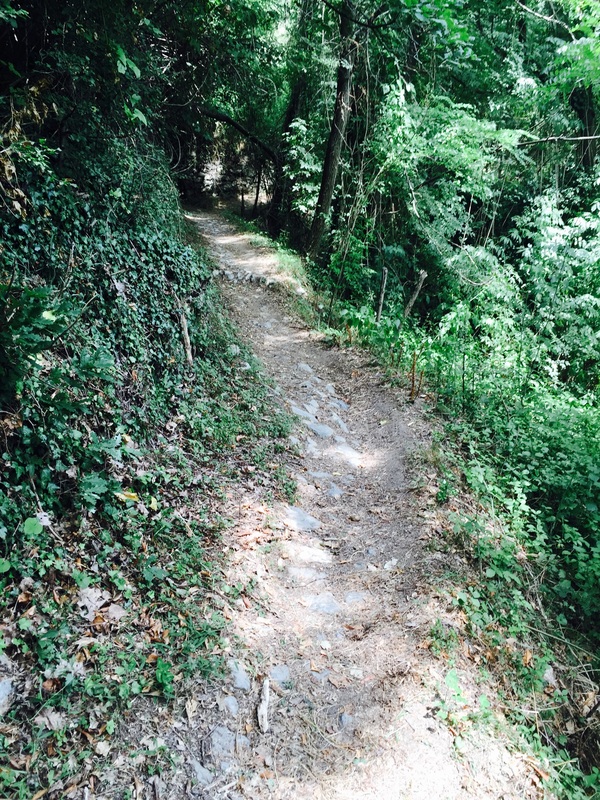 Some sections were too rocky to run, but on stretches like this I couldn’t keep my feet on the ground. 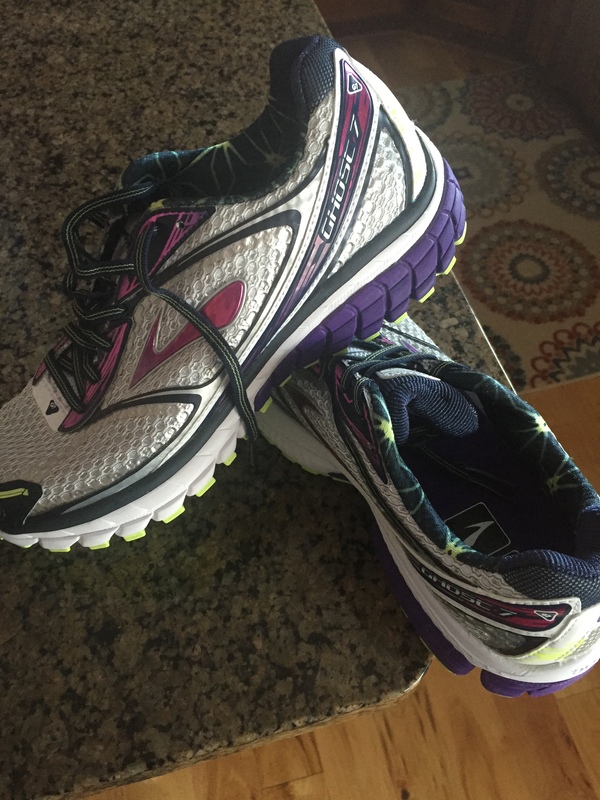 Favorite Gear I switched to Brooks shoes about a year ago and have really loved them this year. A little birdie told me there’s a new pair waiting for me under the Christmas tree! That’s good because I totally trashed my current two pairs with the 6-day-a-week modified Hanson’s plan I used for Des Moines. Favorite Piece of Running Advice Speaking of the Hanson’s plan, I think the best piece of advice (although really it is more of an approach than specific advice) I got this year was the idea that running more makes you a better runner, from the Hanson’s book. It’s more complicated than that, of course, and I wrote more about it here, but it really paid off for me on race day in Des Moines and I felt strong throughout my training. I definitely want to use this approach for future big races. Favorite Running Role Model It’s weird to say this, I know, but I used myself as a running role model to get through Des Moines. When it got tough, I reminded myself how I didn’t give up in Lincoln and kept running despite the miserable heat at the end. The fact that I didn’t let my brain wimp out on me during that race served as great inspiration in other races and tough runs through the year. Phrase that Described my Running This year, I think the mantra of “I can do hard things,” which was in my head for that hot Lincoln race, the tough Hanson-esque training cycle for Des Moines and the race in Des Moines, definitely describes my running best. Running has helped me through so much of this year, especially in managing a lot of big work stress and the lupus diagnosis. I am grateful that I’ve had it as a stress reliever during hard times. Last year, I had a total mileage for the year by the time I did this post but I have no idea what my number is this year! I’ll do the math by New Years. I’m just not great at keeping up with that! In terms of my goals for 2015, I totally smashed the “100 miles of races” part with a grand total of 117.8 miles of races this year (a little less than planned because of that shortened Wine & Dine). That goal was a lot of fun and prompted me to sign up for some runs I might have otherwise skipped. I’d also set a goal of running a half marathon in less than 2 hours and 30 minutes, which I did at least per the Garmin but getting it as an official race time is still hanging out there in front of me. I also planned to run all of a 5K but that one never made it on the priority list. I’ve gotten better about strength and flexibility, but I wouldn’t say I’m consistent so I definitely need to keep working on that one too. Still, it was a successful year all in all. How was your year in running (or whatever your exercise of choice is)? Thanks as always to Patty, Marcia and Erika for hosting the Tuesdays on the Run link up! I got lost in a hole of cookies and inactivity this weekend. It was ugly. These were really yummy but I lost count of how many I ate over Friday and Saturday. And got some activity in Sunday, with strength training, a walk with Darrell & Oliver before dinner and a run through the Christmas lights after dinner. FYI – hibachi shrimp and scallops and veggies are not a good pre-run meal, in case you were wondering. I’m going to hate how dreary running at night is next month, compared to all of this I get now! 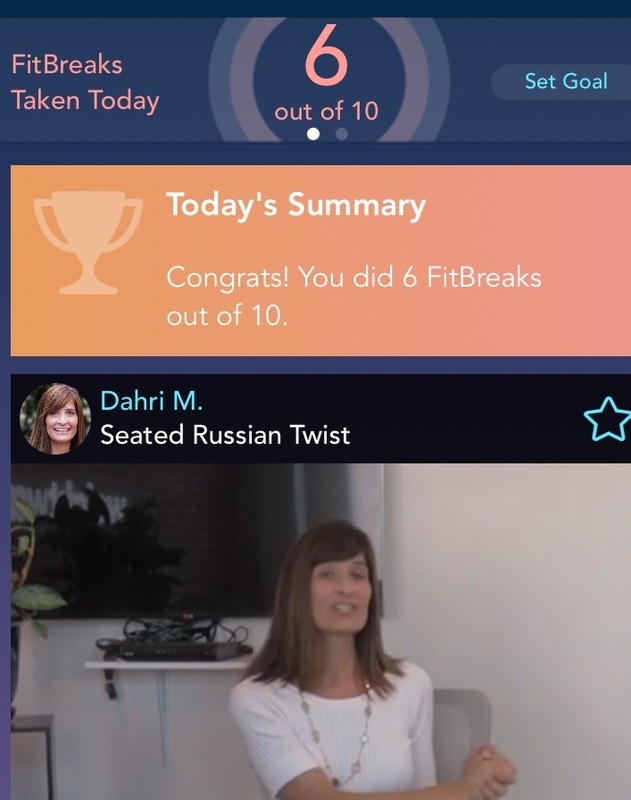 I also got in two strength sessions this week, walked instead of drove to a lunch meeting near my office and was active every day up until the cookie-apocalypse. Also, a big NSV is that even though I went overboard with cookies all day Saturday, my meal choices were actually pretty good. I didn’t let the fact that I was eating a thousand cookie calories lead me down the cheese stuffed breadstick path. Immediately donated these to the candy drawer! 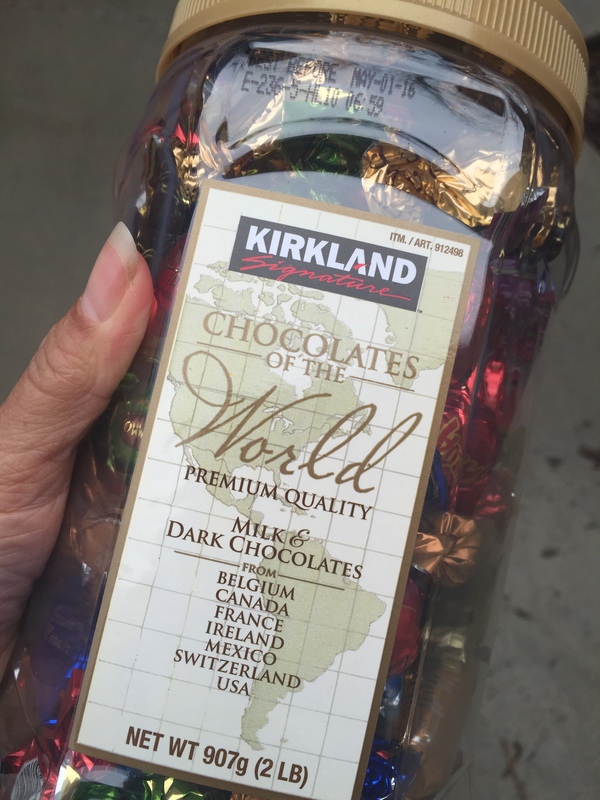 My good deed for the week was donating this big jar of candies (2 pounds of chocolate!) that I was given as thanks for a lecture I gave on bed bugs, lice and other creepy crawlies. Man did I itch while giving that talk! The power of suggestion is strong! This week, I’m going to practice being kind to myself by a) forgiving myself for cookie-apocalypse and b) treating myself to an afternoon off and the new Star Wars movie. 🙂 In all seriousness, that A goal is huge. In the past, I would let a derailment like that make me feel disgusted with myself for days to weeks. Not only is that NOT practicing self-kindness, it is also the kind of attitude that sets me up for further binges. 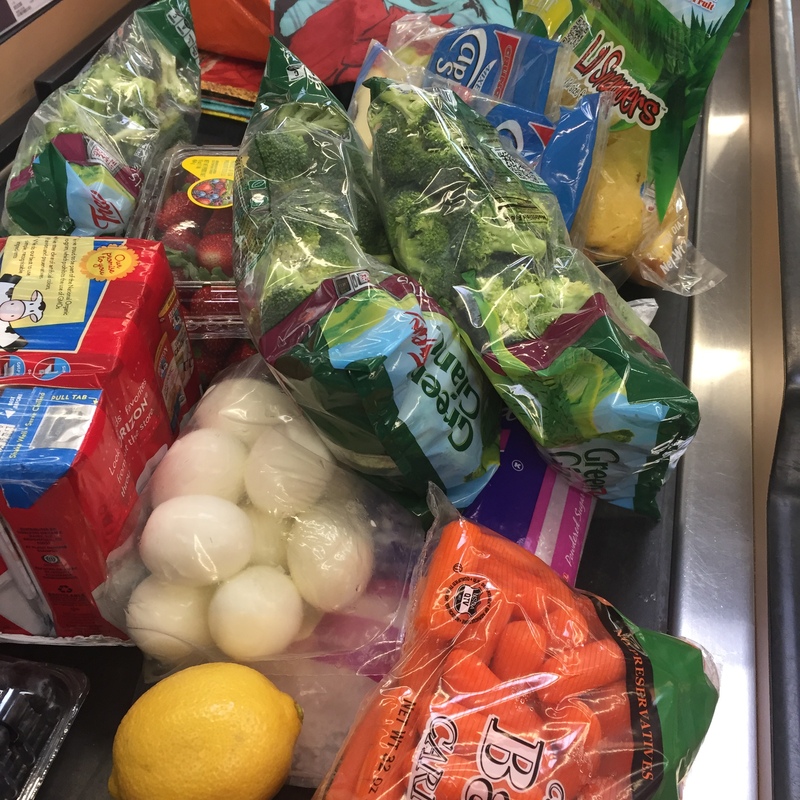 I’m grateful that life offers an abundance of second chances to try again with these healthy lifestyle practices. I’d actually been toying with the idea of trying out the new Weight Watchers program as they’ve made some tweaks. I decided to go ahead and take the plunge on Sunday, so I’ll keep you posted as to how that goes. Honestly, the structure of being back on a “plan” is a weird sort of a relief. I’m someone who runs more consistently when I’m on a training plan to race – who knows, I may be someone who needs to have an eating “plan” too. Certainly for binge recovery it seems to be helping. 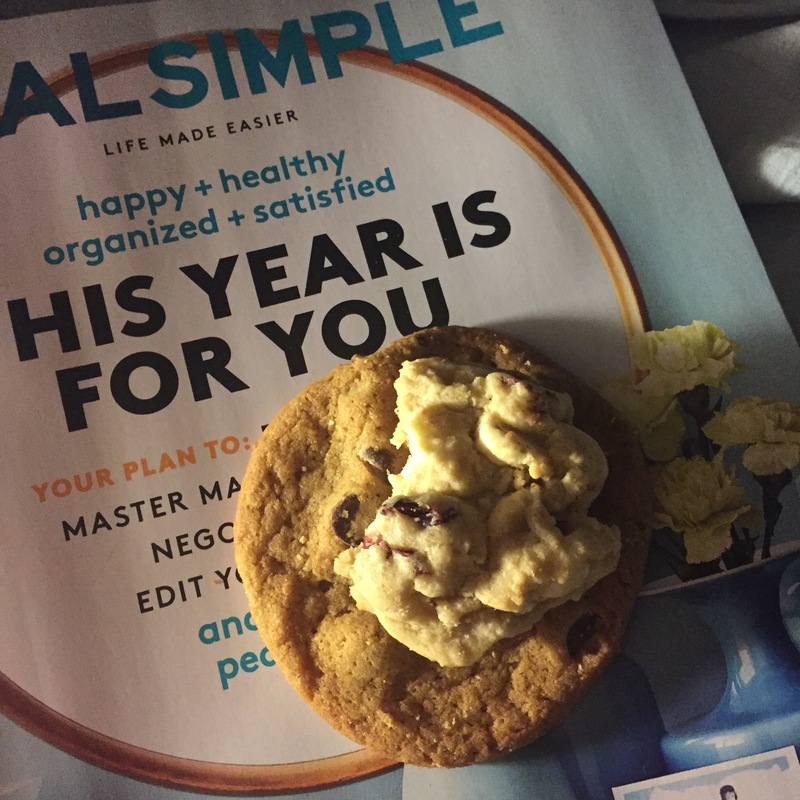 I’ve got a plan to allow myself time to run this week and a plan for healthy snack options on the four day weekend (that much time at home around treats is always tricky!). I’ve got all of my Christmas gifts wrapped and lots of holiday activities planned with O, so I think it is going to be a fun week. I may actually take a couple of hours off every afternoon this week to give myself a little time to myself before I plunge into full time family time on Thursday through Sunday. 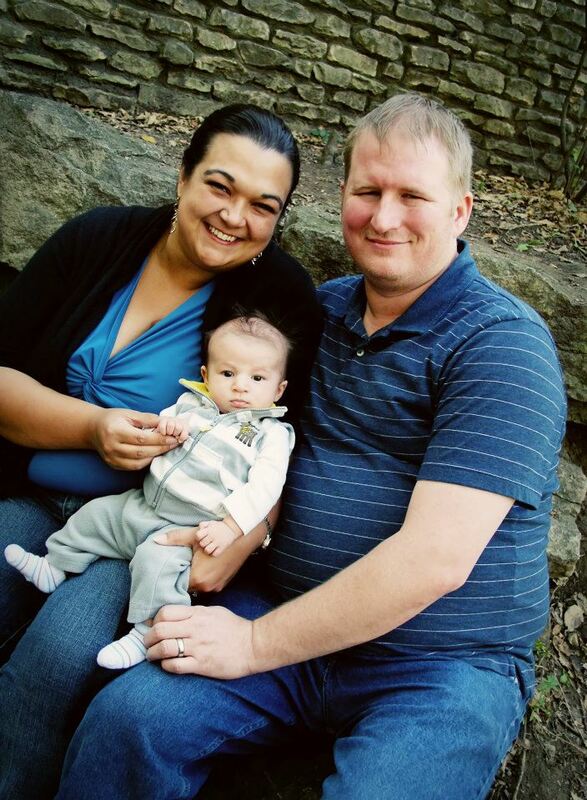 I love my family, but it can definitely be a little stressful, even when it is just the three of us. Of course, since I just got an email from school that someone is out with confirmed norovirus from Oliver’s class – aka the highly contagious cruise ship stomach bug – it may be an even more stressful week than I imagined! How do you recover when you have a bad weekend? 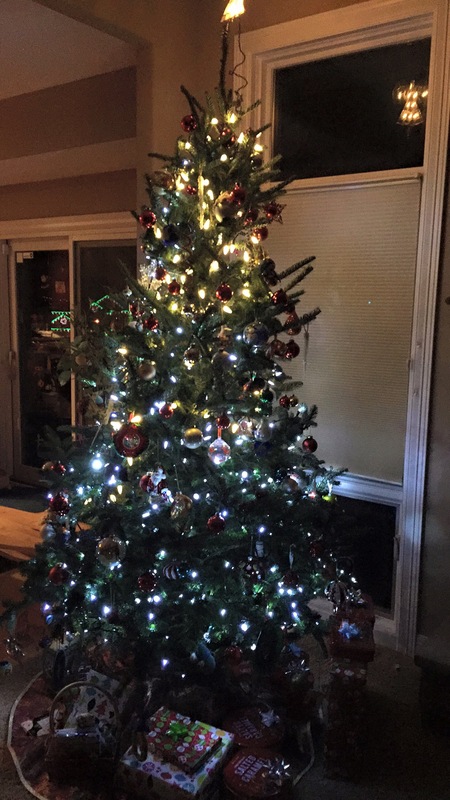 Anybody else going to miss all of the lights when the holiday season is over? Winter running is going to get so dreary! Thanks as always to Tricia and Holly for hosting our weekly wrap-up. 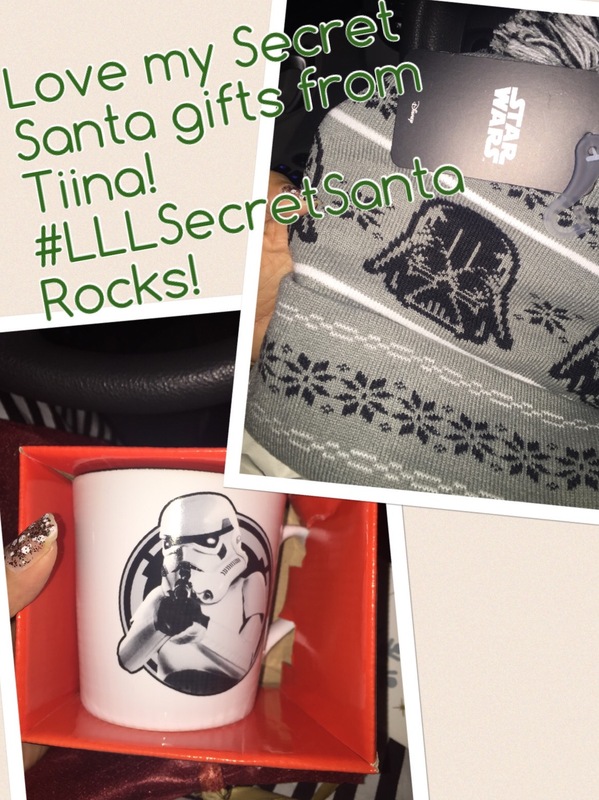 Friday Favorites: A week until Christmas! The little kid in me is already having trouble getting to sleep at night as we get closer and closer to Christmas. 🙂 That really burned me (literally!) this morning since I couldn’t wind down until 11 pm last night but woke up at 5 am today so I could be at work early to help with a big project. I have to use the peroxide-based contact lens cleaners and apparently because I was up so late, they hadn’t had time to adequate neutralize and when I put them in my eyes were on FIRE! You’ve definitely got to be careful with those. So, turns out today is a glasses day. That’s okay – makes me look smarter, right? Last night, I went to watch a junior high production of A Christmas Carol in which a friend’s son was Scrooge. 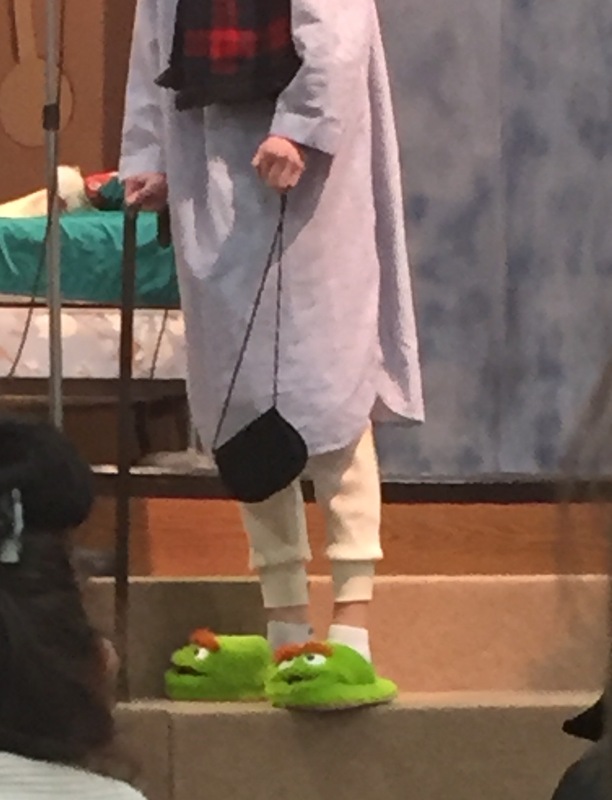 Don’t you love Oscar the Grouch slippers on Scrooge? Seems perfect, right? The play was full of that adolescent awkwardness that comes with school plays at this age and for that reason, I found it utterly charming. It was a great dose of the holiday spirit. This article by Elizabeth Gilbert includes advice we all need at this time of year: stop worrying about all of the things we aren’t doing or should be doing or should do as well as our neighbors or whatever. Stop. Stop with the comparisons, stop with the self doubt; start being kind. We are enough, whether we ever get our gifts wrapped or purchased or Pinterest crafts done or cookies baked – it’s enough. I may need to tell myself that about a thousand times. 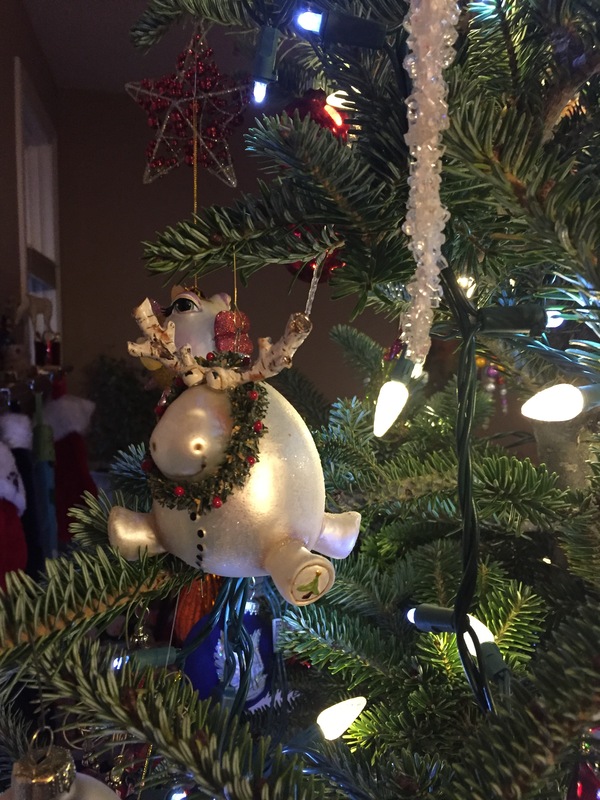 Speaking of advice we all (including me) should heed at the holidays, I like this list of the “10 commandments of Christmas morning.” The second one – that mom gets a bra before any photos are taken – is crucial! Number 9, with the same gift? That’s happened in our house. Darrell has gotten me the same robe twice now. In his defense, it is a lovely robe. 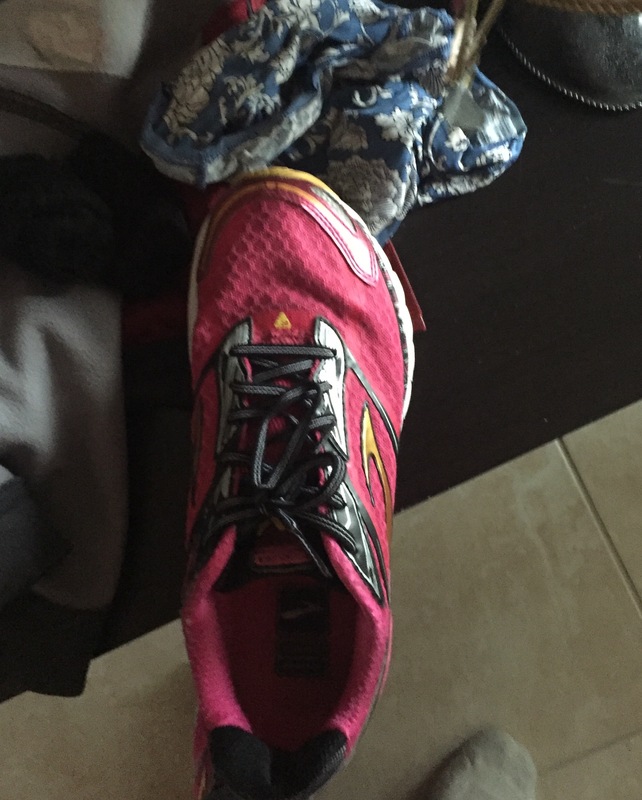 There were two running related articles I’ve seen recently that I really enjoyed. The first, Bad at Running, is a fantastic look at why it is worth it to run even if you don’t want to get better at it. Sometimes it doesn’t matter if you’re not very good at something or if you don’t want to improve – it has value even when imperfectly executed and running is definitely like that. I took a pottery class when I lived in Little Rock and there was a neurosurgeon in my class. He told me he loved being able to come do something that he was allowed to do badly because he wasn’t allowed to fail in his job. I can definitely appreciate that sentiment. I also really identified with this article on what it is like to run with lupus. The unpredictability of lupus and its invisibility make it an interesting complication to have in life. You can’t always tell from the outside that I’m having a bad lupus day. I hide the rash under sleeves (mine tends to show up on my forearms) and the Alleve masks the swelling for anyone but my husband and my rheumatologist to notice. I may look normal but have a day where I’m aching all over. It’s definitely hard because there are days when you don’t feel like moving, much less running, and yet I know the running makes me feel physically better. It was somehow comforting to read about someone with experiences so much like my own. It reinforces for me again how important it is that we tell our stories, because we never know who it might be helping. Enjoy the weekend! Be careful around all of the last minute shoppers if you’re out and about! I’m a big believer in laughter as a stress reliever, so I thought I’d share some of the things that have made me laugh in my little world lately. “Mom, what’s this for? 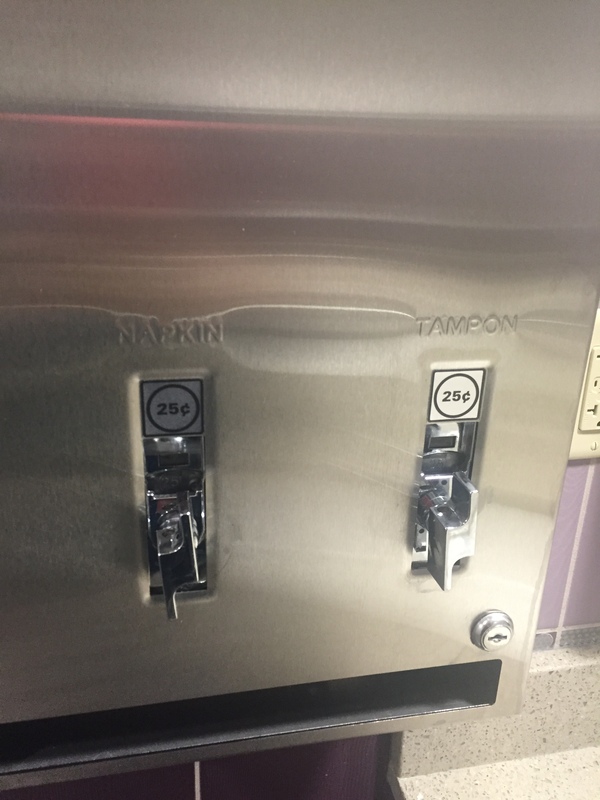 Is it a money machine?” while O and I were washing our hands in a women’s restroom at his doctor’s appointment this morning. A sign that it has been too long since your last run? When you go to put on your shoes and find that the toe is stuffed with underwear from your trip out of town a WEEK ago! I stuffed my shoes full of various bits of dirty laundry, etc to save space in my suitcase – apparently including underwear (not usual – I must have been tired). I missed this when I unpacked and didn’t realize it for over a week. Oops! This monkey scared me to death! 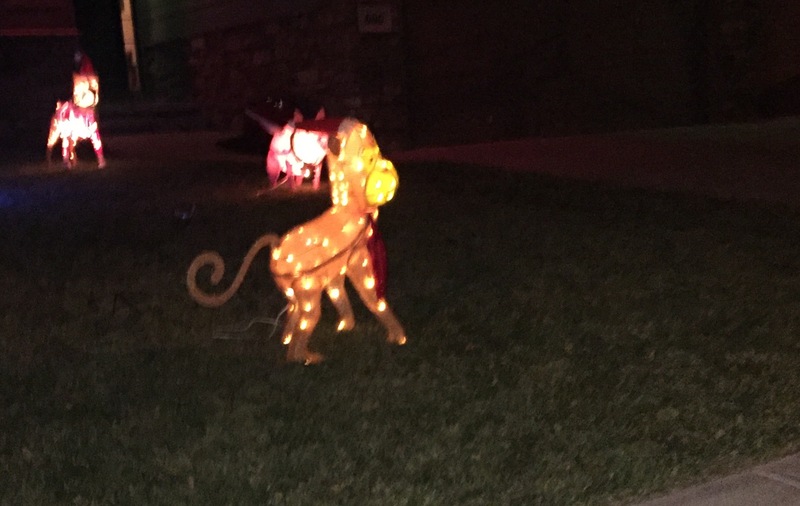 My neighbors have lots of these little light up animals. The monkey is new this year. Unlike ALL of the other the critters, who are not mobile, this little freaky monkey moves his head. Just his head, in that slow, horror movie doll way. I realized this as I was walking by in the dark and caught it out of the corner of my eye. I literally jumped. 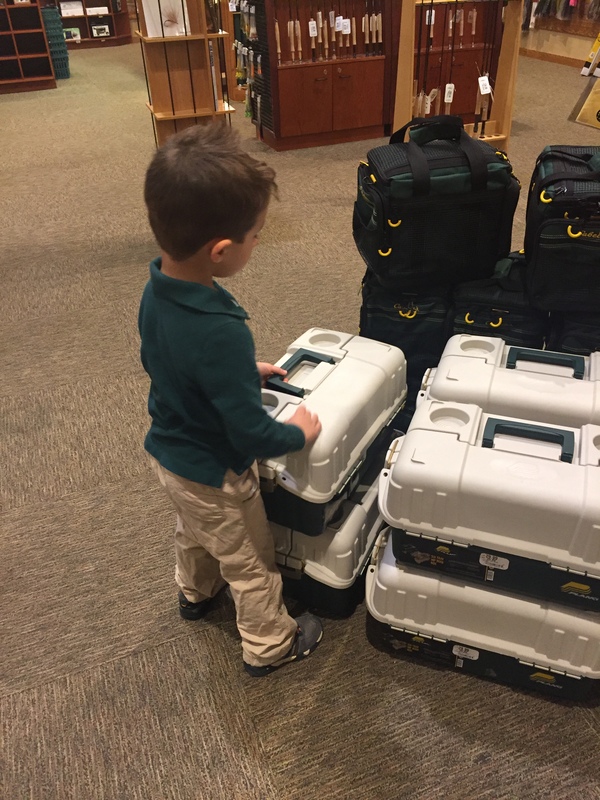 Oliver saw this tackle box at Cabela’s when we were out Christmas shopping for my dad. He asked me “Is this a tackle box, Mama? When I catch tackles, I put them in here? And they grow up to be frogs?” We started off good and veered off course. Words are tricky. I would have never considered tackle and tadpole so similar before. I took that exam last week to recertify for part of my professional licensure (passed!) and it did not help my ego one bit to walk straight into the bathroom stall door on the way out of the building. I am such a klutz! 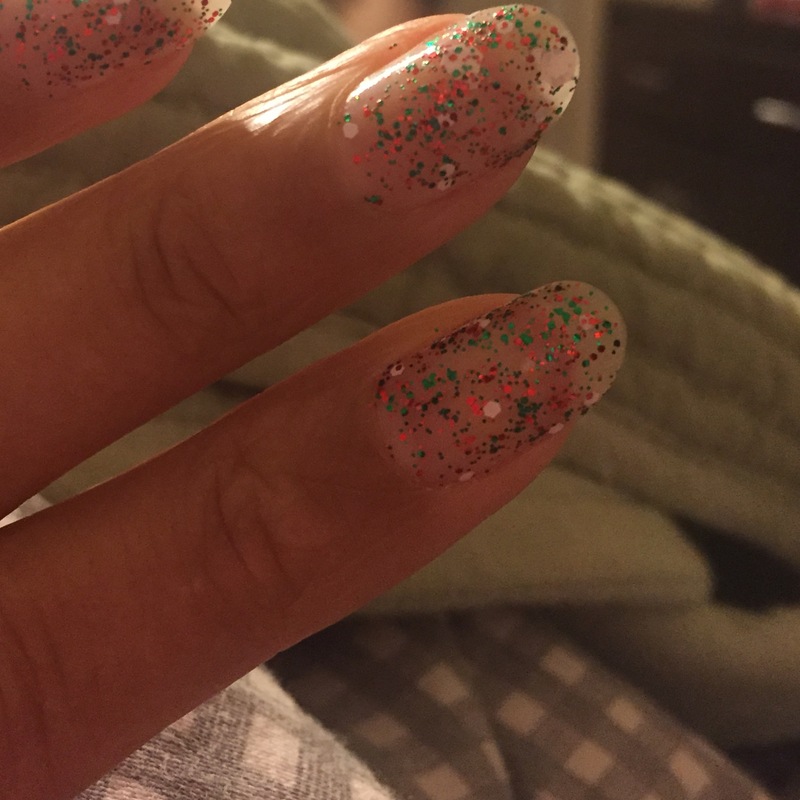 I treated myself to some fun holiday nail polish yesterday and while trying to a take a pic of my nails for my Instagram #grateful and taking time for me moment last night, I accidentally got my husband in the background in his underwear. That took some strategic cropping to fix! He was not amused. What’s making you laugh today?